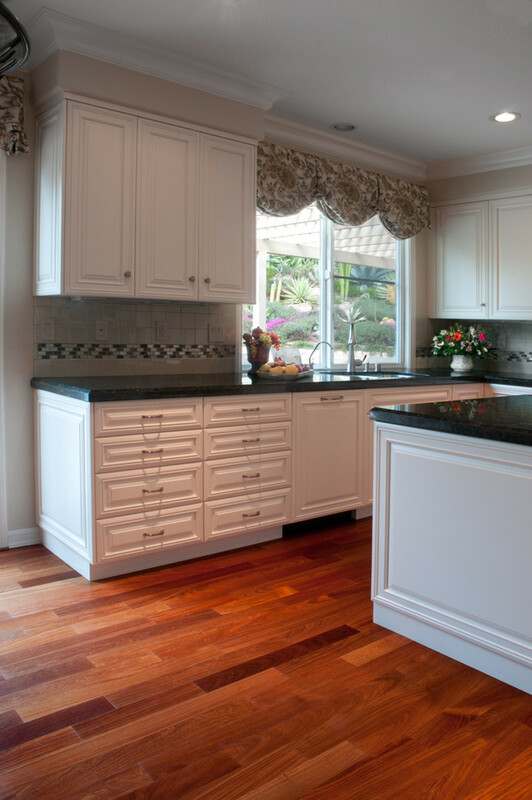 This remodel was taken from an outdated 1970’s kitchen and given a new vibe with the customer’s vision of keeping only the old floor—a classic Brazilian cherry wood— intact. 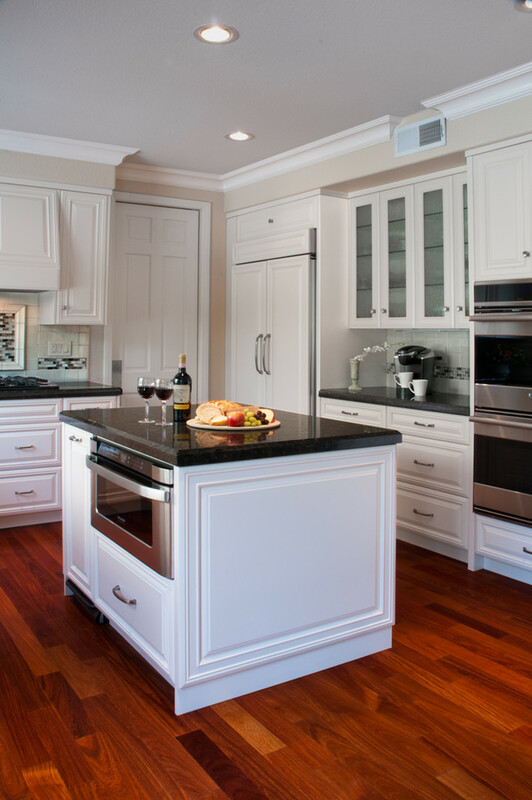 New white cabinets gave the room a fresh airy look that opened up the room that paired well with the rest of the interior décor. 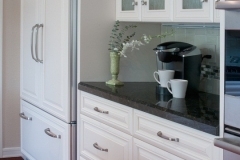 A new niche was added between the refrigerator and the double oven in order to have easy access for preparation of breakfast and easy on-the- go meals. 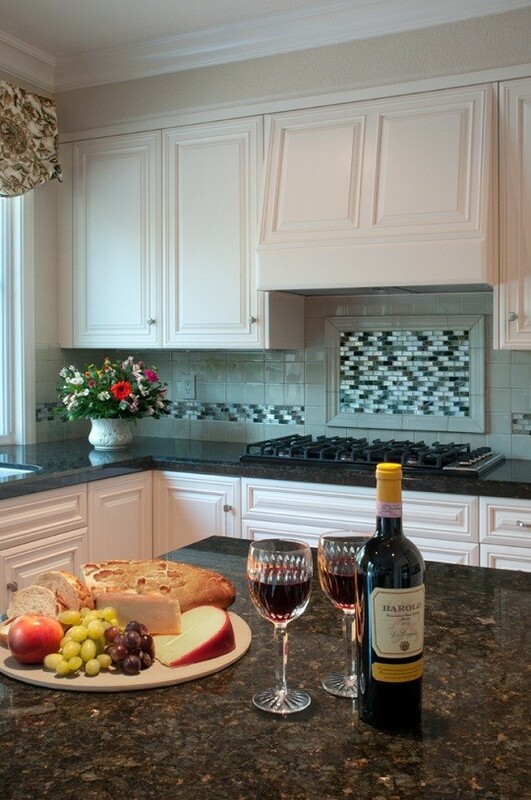 Double glass doors were added above the niche in order to display glassware and create spacious ambiance. 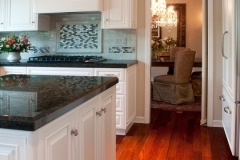 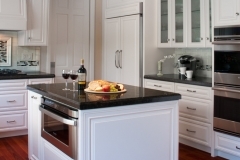 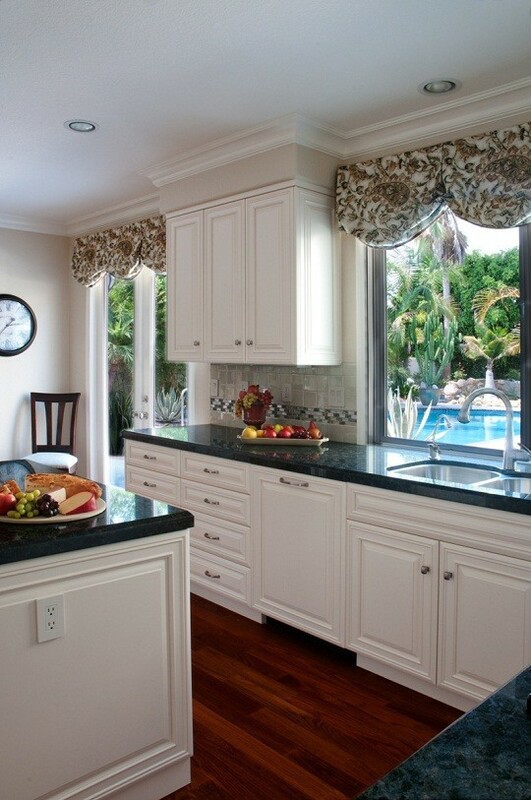 The focal point is the center island that houses a microwave drawer as well as storage on both sides of the island. 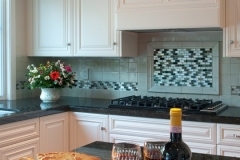 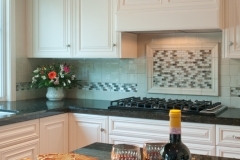 The backsplash above the drop-in cook top is a Mosaic accent piece framed with porcelain tile. 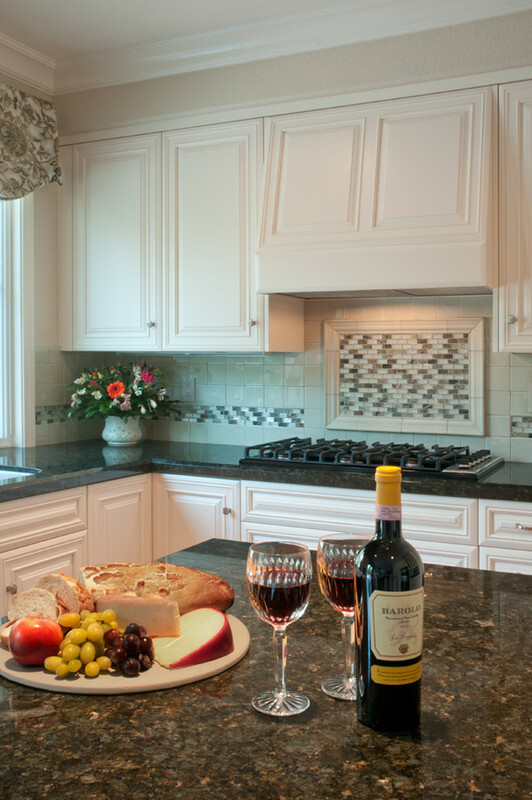 The kitchen sink was placed on the West wall in order to have a view of the backyard and swimming pool. 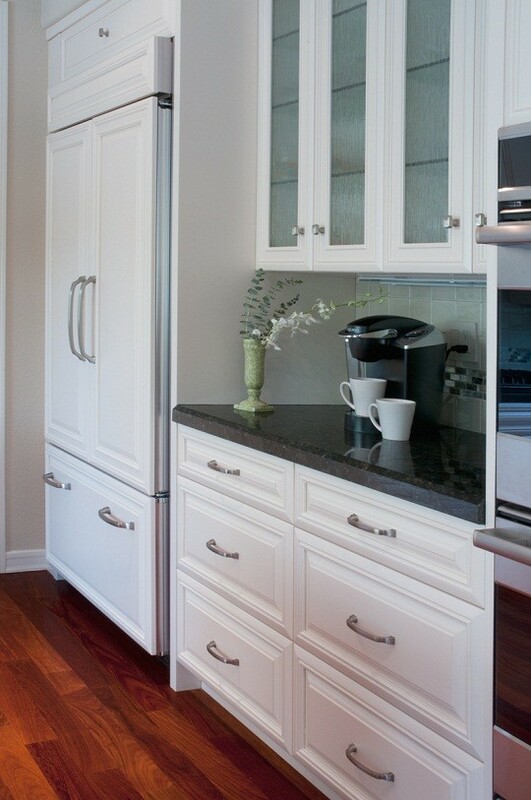 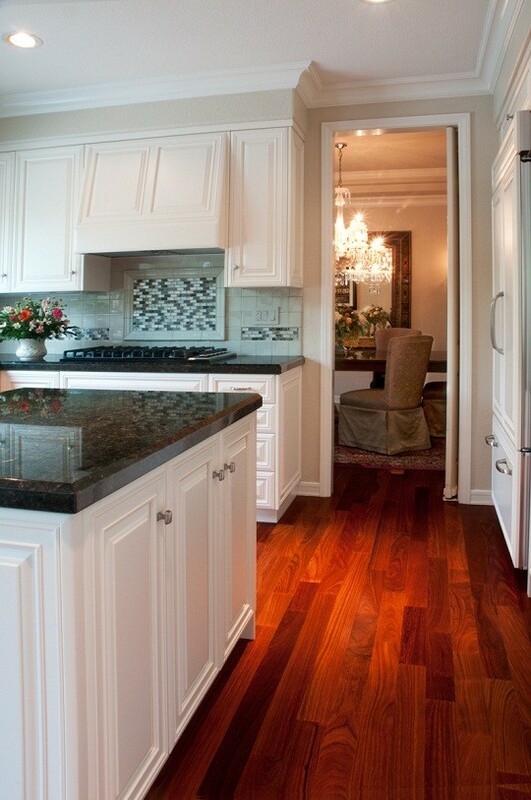 It is flanked by upper cabinets and the lower cabinets have a bank of drawers for ample storage.